CONTAINS: fuser 40X2592, double charge roller 40X0127, transfer roller 40X0130, 3 pick tire kits 40X0070 (2 per). Order this when you see error message "scheduled 80 maintenance." NOTE: An Advance Exchange requires the return of your defective part within 30 days from date we ship. A return address label and RMA number to reference will be included, unless we are directed otherwise. Customer is responsible for return freight. 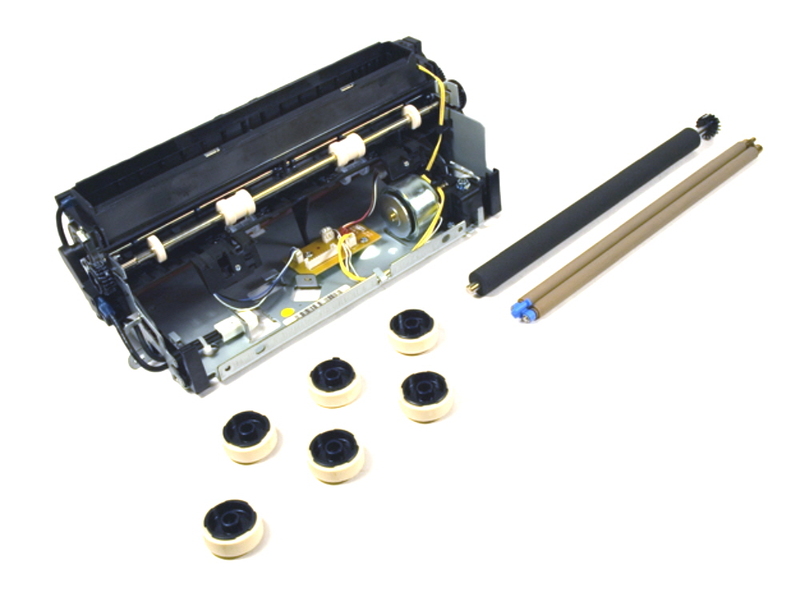 This fuser or maintenance kit exchange is supplied with a Refurbished Fuser and New Rollers.